A production SQL server name and/or SQL server instance to which you want to restore your database. Use the server_name\instance format. You can select a server or instance from the drop-down list or use the Browse button on the left, as described in Browsing for Servers. A name for the database that is being restored. 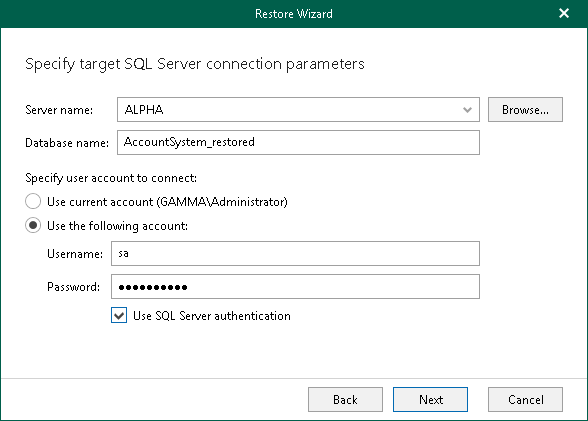 The user account to connect to the target SQL server. Select the Use SQL Server authentication checkbox to use SQL authentication. If not selected, Veeam will use Windows authentication. Make sure the account you are using has been granted the sysadmin role on a target SQL server. Ensure that the administrative share (i.e., \\myserver\ADMIN$) on a target machine is available. Read and Write are minimum required, Full Control is recommended. 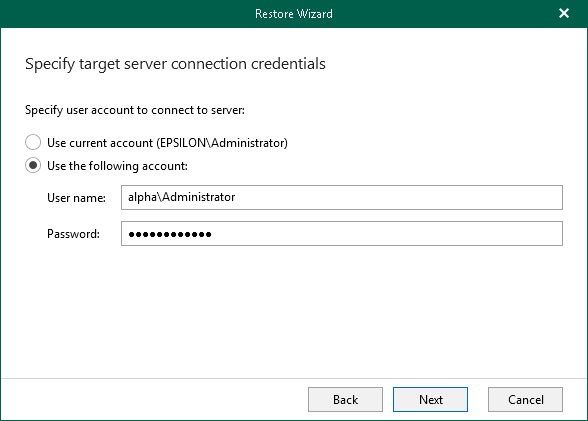 When selecting the Use SQL Server authentication checkbox and providing your SQL server account, you will be asked to provide a target production server account at the next step, as shown below. 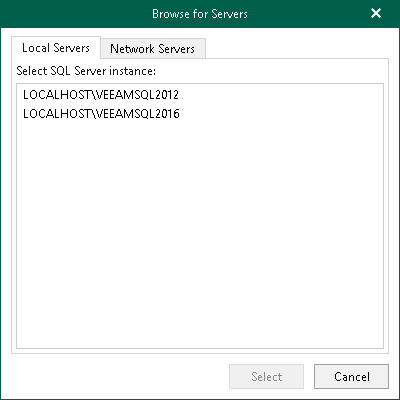 On the Local Servers tab, select a local SQL server that is located on a machine with Veeam Explorer. On the Network Server tab, select a SQL server over the network.